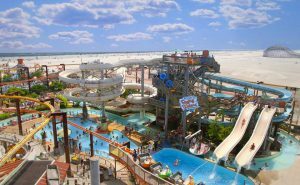 Morey’s Piers is a seaside amusement center located in Wildwood, New Jersey that comprises four piers along a five-mile beach and two-mile boardwalk, featuring over 100 rides and attractions, and two full scale beachfront water parks. The park has been voted by Amusement Today as the Third Best Seaside Amusement Park in the world. This is one park you should definitely visit. Have a good time here with the rest of your family and get to feel what true fun and relaxation is all about. Other Specials & Coupons To view Morey’s Piers Admission Tickets, other Specials and Coupons, go to their special page by clicking here. 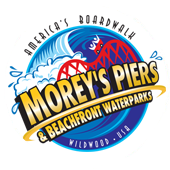 Morey’s Piers updates this page throughout the year, so check back to see if new specials and coupons have come in. Note to our visitors Morey’s Piers coupons and specials can change without notice. So please visit their official website to make sure of the latest pricing and coupons.